DRPU Software, world leader in developing versatile business management software. Company develops professional and best business software that manages and records everyday commercial activities and provides all the information at your finger tips. We differentiate ourselves in the IT market place by providing robust, reliable and cost effective application programs with full range of creative and technology services. 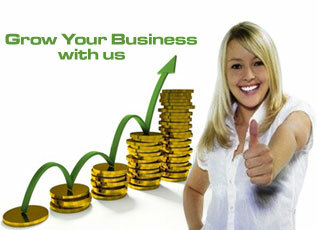 Software helps to manage entire business accounting with one complete system. Accounting software having barcode facility that is user can easily fetch data and save time and avoids manual data entry process with the help of barcode setting. Computer accounting software provides password function, so user can easily protect business account from unauthorized user access. Businesses accounting software easily manages Customer, Vendor, Items, Store and other information in secure way. Purchase Order Tracking Software is Windows based business accounting software that gives you the ability to create and manage sales/purchase process. Software records and manage entire sales order process including Quotation, Delivery order, Invoice, Receipt, Deposit etc. Software improves communication among your purchasing, receiving, and accounting groups. By using PO Business application program, you can easily manage records of Customers and Vendors and also manage items records which are sold, purchased or returned. Employee Planner Software helps companies in assembling, organizing and managing the employee details in smart way. Utility easily maintains employee`s In/Out timing details, Attendance records, Shift details, Leave records and most importantly Payroll details. Software generates payroll pay slip of employees with flexible print options. Software also maintain employee daily shift records and automatically check for any scheduling conflict. Program provide organizations the helping hands to accurately manage and maintain the employee’s records. Employees Tour and Training Management Software manage employee tour and training activities. Company provides highest standard program for every type of business organization to schedule and prepare effective time-table for tour and training activities of their employees in systematic manner. Advanced feature of the software supports company HR representatives to organize tour and training rostering needs in simplified and organized way and thus avoids scheduling conflicts. Hotels, Medical Industries, IT Sector, Transportation, Offices, Financial services, Real Estate, Telecom etc.